Preview Our New Product: Zeus Crypto! – One of the super-powers of the future is to manage an uncertainty in collaborative teams. – It means that one needs an ability to stay open, curious, resilient, the ability to learn, and to be conscious about how you learn, and why you do things. – It also means that one needs an ability to attract open, agile, curious, get-things-done people helps to build solutions that are sensible and that are bigger then any person in particular. Olga is an infinitely curious serial entrepreneur with strong product vision backed by 15 years of expertise in stock markets and creative industries. Her professional experience includes working as a trader and portfolio manager at international markets, producing unique events and spaces in culture and education, and building startups in creative industries & in fintech. At Consensus? Come say Hi! This week hundreds of people are attending Consensus 2018 in New York. And so are we — Zeus Exchange team. Come say “hi” and mingle at booth #13 on the second floor! And hopefully you didn’t miss our tech pitch on the opening day! Blockchain is a new and promising technology. While trust has been lost in governments, banks, central banks and other institutions, this technology is trustless — meaning it does not require trusting a central entity. With computers gaining increasing importance, we are less willing to trust a single entity or some administrators to properly care about our digital life. Public blockchain technology promises to be able to grant things beyond government and institutional control. Governments are challenged by this loss of control. Criminal use cases of blockchain technology like money laundering or terror financing are used to argue in favor of a tight regulation of blockchain technology. However, shouldn’t we have democratic institutions decide about the rules and independent technology to ensure that everybody — including governments — play by the rules? For example, validating identities on a blockchain will remove the power of governments to create fake identities or to delete real identities. The session panelists will present some blockchain use cases and will discuss blockchain specific regulation with a focus on cryptocurrencies and tokens. Zeus team is approaching the start date of its token sale and we are excited to be working with Smart Valley. In today’s state of ICO’s it becomes harder for backers to review the complex startup products and avoid scams, so it is great to see experts standing up to provide help and bring more clarity and safety into the industry. Smart Valley is a powerful system for ICO project assessment and development — with a combination of unique scoring tool, expert knowledge, and crowd wisdom. A community of top-class experts from across the globe that offers their services helping to launch ICOs that are legal and secure. Smart Valley also focuses on helping startup founders find all the professionals they require to build a dream team — specialists in front end development, finance, PR, SMM, law, etc., especially those experienced in ICO — helping them avoid the pricy false experts. And our team can second this one — we’ve had many encounters with people trying to sell their overpriced services not backed by actual knowledge. It simply wastes precious resources of founders — both money and time — which can be the end of the company. So how does Smart Valley make this happen? They are creating a distinctive platform that provides a global database of startup projects seeking financial support and verified by a decentralized scoring system. This automated platform provides access to legal help, to key business players and experts, and to promotion of high-quality ICO-projects. Their scoring algorithm helps minimize the risk of scams and fraud for the participants. And this is what brought us together. While keeping in mind that the crypto space is still forming and ever evolving, unfortunately there has been a number of “not so transparent” and dishonest. On such an early stage of the industry and bias around crypto and ICOs, it is up to us, entrepreneurs in the space, to set the unwritten ethical rules and follow them to prove that crypto is here to stay and not to scam. Why is this so important to Zeus team personally? We believe that crypto and blockchain are the continuation, the evolution of the traditional financial system. That is why Zeus Exchange intends use the power of blockchain to create a hybrid investment environment to trade financial assets and digital assets at a single place and at a low cost, while staying fully compliant with applicable legal and regulatory requirements in the countries of market entry. 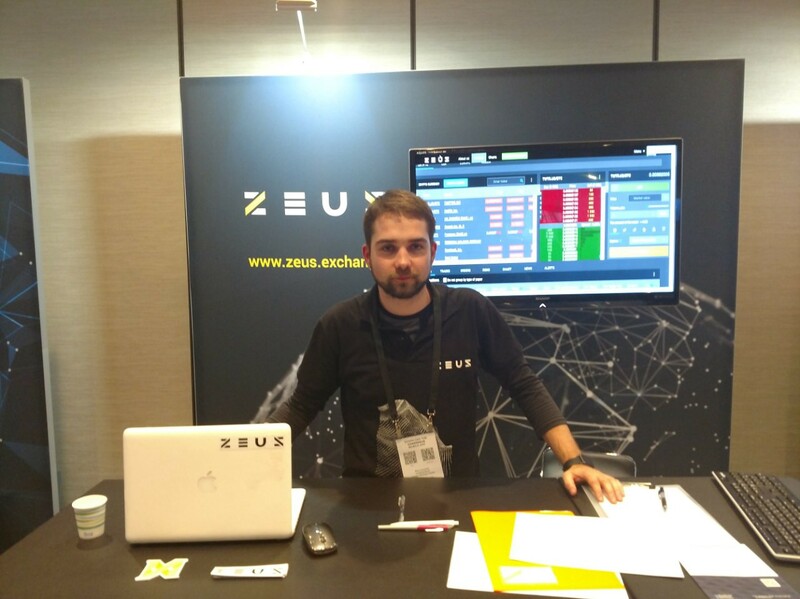 Zeus Exchange in Crypto Valley! Starting our roadshow in Zug, Crypto Valley, at one of the most advanced blockchain centres on the planet. If you are at Blockchain Summit Crypto Valley, come say hi! An exciting partnership: Membrana + Zeus! We are thrilled to partner with Membrana! Zeus Pre-Sale and Roadshow are ON!